We talk a great deal about JRPGs at DDNet, but we don't talk as often about how much we love western RPGs, too. Especially the classics, like Baldur's Gate. Which is why we're always excited when a developer promises us a game that throws back to that great era of storytelling and gameplay. Tower of Time is the latest attempt at just that. Developed by a Polish developer, Event Horizon, (gosh the Poles know how to make great RPGs), Tower of Time promises to be 30-40 hours of story-orientated gameplay, multiple character classes to recruit and train, 100,000 different pieces of loot, and 500 different options in the complex skill tree. 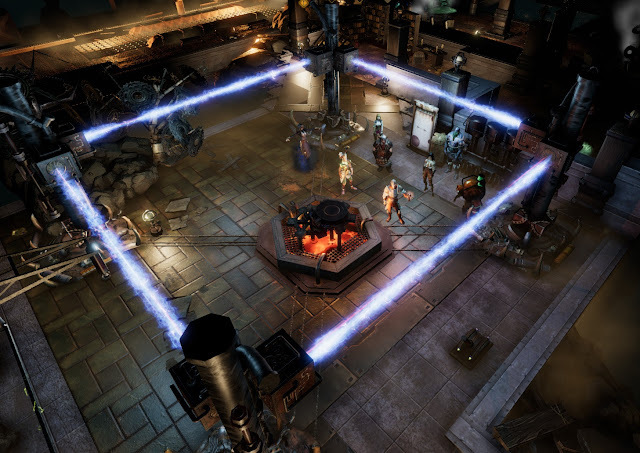 You'll be able to build a party that truly reflects the way you like to pay, we're told, and all of this is done though a highly tactical, real-time-but-pausable combat system that will be very familiar to fans of everything from Baldur's Gate to Dragon Age. The game's been in Early Access for a while, but Event Horizon has announced that the full release will be in April of this year. No word on a console release yet, but we're hopeful. In the meantime, enjoy the trailer!